Home Page / Home / Comedy News / Robert Townsend Details Making ‘The Five Heartbeats’ A Comedy Classic! 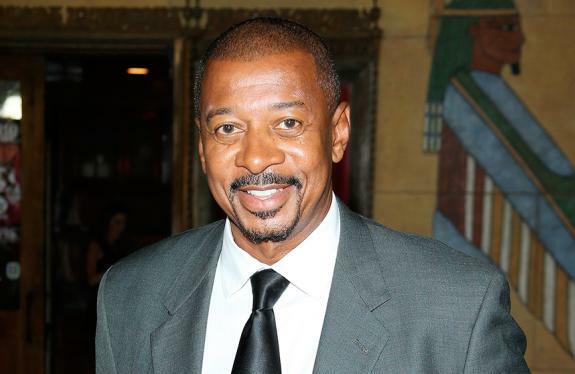 *Fresh off of making a splash with his debut film, “Hollywood Shuffle,” Robert Townsend had his sights set on creating nothing short of a classic with his next big screen endeavor. Three years and 25 drafts later, the “Parent ‘Hood” star’s wishfully came to pass in the form of “The Five Heartbeats,” a musical drama he directed that was loosely based on the lives of several recording artists, including The Dells and the Temptations and depicts the rise and fall of a Motown-inspired group. Co-written and starring Townsend as Donald “Duck” Matthews, “The Five Heartbeats’ arrived in theaters 25 years ago on March 29, 1991 and also starred Michael Wright as Eddie King Jr.,Leon Robinson (J.T. Matthews), Harry Lennix (Terrence “Dresser” Williams) and Tico Wells(Anthony “Choir Boy” Stone) as well as Hawthorne James (corrupt record label owner Big Red Davis), Roy Fegan (Bird, lead singer of rival group Bird and the Midnight Falcons), Diahann Carroll (Eleanor Potter, the wife of the Heartbeats’ manager Jimmy Potter) and Troy Beyer(Eddie’s girlfriend Baby Doll). For Townsend, that team included his cast as well as those behind the scenes who worked to make his vision as director a reality. With “Hollywood Shuffle” providing a springboard, Townsend noticed a big shift in the attention given to “The Five Heartbeats, with “going from a budget of $100,000 to almost $9 million.” Equipped with added finances and his internal passion, the filmmaker made sure to not waste precious time and utilized every resource and opportunity available to make his sophomore feature a greater success than his first outing behind the camera. 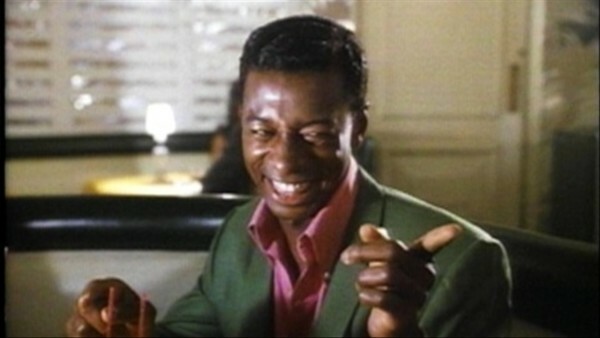 Although “The Five Heartbeats” moves forward in time to chronicle the fictional singing group’s journey, Townsend’s filming went in the opposite direction with shooting the entire movie in reverse order. The effort proved to be a challenging one, as the cast put themselves in the minds of their respective characters without acting out what happens to them beforehand. Outside of the actors, Townsend’s challenge in shooting in reverse also came with makeup and hair of the period, which he wanted without having anyone wear wigs or anything that wasn’t real to the chosen era. Although the movie was shot in a different order, Townsend and “Five Heartbeats” co-writer Keenan Ivory Wayans made sure to never lose sight of family, a noticeable theme found throughout their joint collaboration. 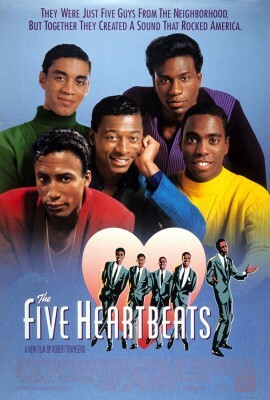 Since it’s release, “The Five Heartbeats” ranks high in the hearts of fans, with memorable characters and scenes as well as a soundtrack that included The Dells hit “A Heart is a House of Love.” As a result, the movie has found a permanent place in the video collections of many who regularly turn watching it into an event via viewing parties with family and friends. Although the movie is a favorite for many, it didn’t get that way from being in the theaters. Through the magic of home video, “The Five Heartbeats” overcame mixed reviews and an unsuccessful run in theaters via strong word of mouth that culminated in consistent praise and a growing fan base with each showing. 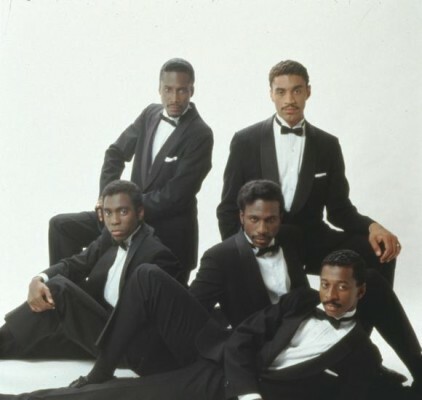 Despite being really hurt from his “baby” not doing well at the box office, the new life of “The Five Heartbeats” on video was a welcome turnaround for Townsend. “When you create something and you put your heart into and it doesn’t work at the box office…Everybody talks about the Academy Awards. I thought we had an Academy Award winning-go. I thought there were some performances, not because I did it, but I can step outside the movie and say ‘Wow. These are some amazing performances,’” he said. Families and regular fans weren’t the only ones to show love for “The Five Heartbeats.” Real-life singing groups who saw themselves in the members of the group also took to the film. Going deeper into the group aesthetic, Townsend added that it all came down to “human nature” regarding the perception of members by fans and people who have a hand in the direction of their careers. As “The Five Heartbeats” celebrates 25 years, fans can look forward to getting the full story behind the making of the film from Townsend himself via an upcoming documentary he hopes to have out in June. While he couldn’t reveal specific details, the entertainer-director did mention that major revelations will be made about those who were in the running to play the Heartbeats as well as turmoil behind the scenes. Whether it’s watched as a fan, aspiring filmmaker or singing member of a group, Townsend sums up “The Five Heartbeats” with the one word he feels sums up what his film and everything that happens in it is all about. On This Day In Comedy... In 1997 'BAPS' Was Released By New Line Cinema! Philadelphia's Infamous Laff House Comedy Club To Re-Open? Brandon T. Jackson Lands In New Film With Kevin Durant & Blake Griffin!